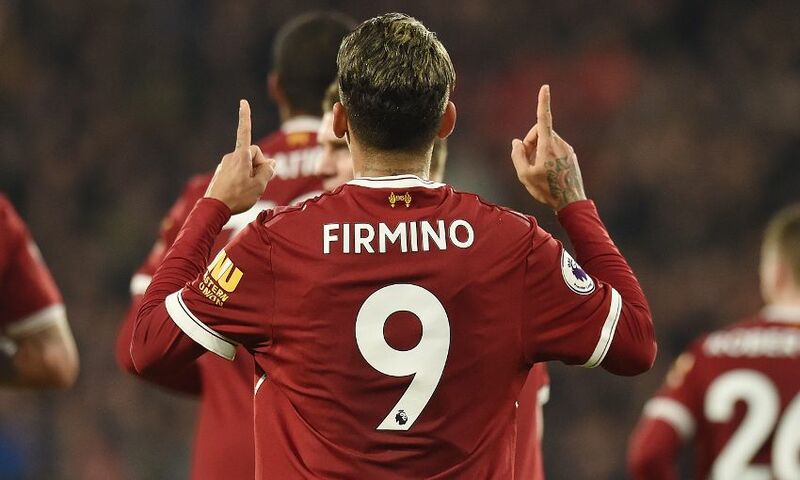 Liverpool returned to winning ways with a 3-0 victory over Huddersfield Town in the Premier League on Tuesday night. First-half goals from Emre Can and Roberto Firmino set Jürgen Klopp’s team on their way to a much-needed result at the John Smith’s Stadium, following back-to-back defeats last week. And Mohamed Salah’s penalty 13 minutes from time banked three points at the expense of the Terriers on a productive evening for the Reds. Klopp made six changes to the XI that had started Saturday’s defeat against West Bromwich Albion, with Jordan Henderson the most notable returnee. The captain was involved from the off for the first time since December 22. The sides emerged to a real din inside the John Smith’s Stadium and the frenetic atmosphere was mirrored in the early exchanges, with neither able to truly control possession in the opening 10 minutes. More than a quarter of an hour passed by before a genuine opportunity – and it fell to Huddersfield. When a long ball was flicked on to Chris Löwe down the left flank, his immediate cross to the middle of the box picked out Laurent Depoitre for a firm shot that was palmed away from danger by Loris Karius. It was slim pickings for Liverpool, however. A 20-yard bobbler from Can that Jonas Lössl scooped clear was the best for them up to that point. But the German changed that in the 26th minute. Andy Robertson’s latest delivery from the left hand side was headed out of the Huddersfield area and Can moved onto the loose ball and cracked it back towards the bottom corner – which he found via a deflection off Philip Billing. The goal gave the Reds the confidence to assert themselves on the game with greater authority and they controlled possession in the aftermath. Löwe threatened a leveller shortly before the interval, though, as he curled a free-kick – awarded for a clumsy Sadio Mane challenge at the edge of the box – just wide of the left post. Instead, it was the visitors who struck in the closing moments of the first half. Robertson and Mane combined to squeeze a pass into the run of Firmino in the Huddersfield area, and the Brazilian fooled everybody expecting a cross with a classy low finish off the near post. The hosts returned after the interval with fresh determination to thwart Liverpool, though Mane might have put the game beyond them from a brilliant chance on 55 minutes. Can’s lofted knock over the opposition defence was met with a decent header by the Senegal international but Lössl got down quickly to save. An almost carbon-copy piece of play occurred as the contest entered its final quarter, Mane guiding his diving effort from an even better pass wide of the goal on this occasion. There was a frantic feel to proceedings as David Wagner’s side pressed for a way back into the game late on – and their appeals for a penalty were waved away when Robertson tried to prevent Collin Quaner converting from close range. Salah prodded off target when a defensive error left the No.11 with a half-guarded net from a narrow angle, but he soon sealed victory for the Reds. Billing was penalised for bringing down Can in the box and Salah took responsibility from 12 yards, sending Lössl the wrong way and ensuring a timely win for Klopp’s men.